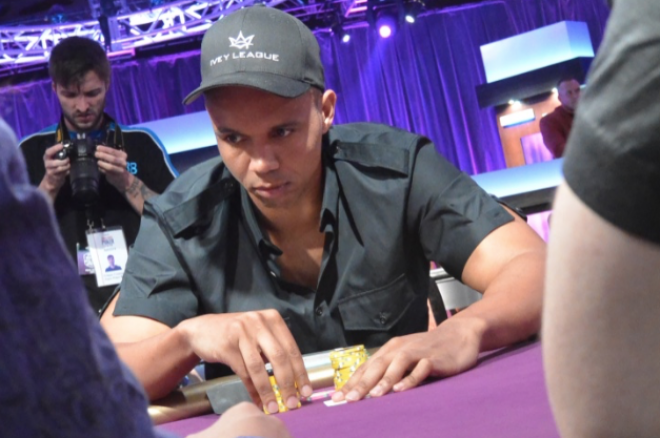 Borgata's destruction of edge-sorting evidence may not help Phil Ivey as much as he hopes. PokerNews' legal contributor Mac VerStandig offers his take on destruction of cards in Ivey/Borgata case. Long before Hillary Clinton allegedly took to scrubbing an email server, Richard Nixon’s army of henchmen made fashionable the process of running paper shredders at all hours of night – and even conveniently splicing audiotapes. Now Borgata, Atlantic City’s most luxurious gaming hall, has been made to answer the allegations of Phil Ivey that it did similarly, destroying playing cards before they could be utilized as evidence in the federal suit previously rehashed on this website. The casino’s formal legal answer – an exercise in brevity by virtue of procedural requirement – amounts to a tacit admission that "some of the cards used in the play at issue in this case were destroyed," though one accompanied by an essential disclaimer: such mutilation was "in the regular course of … business operations," and came before Borgata purports to have been on notice of Mr. Ivey’s strategic ploy. Borgata otherwise denies the majority of the allegations leveled against it, though such denials may be conveniently available due to Mr. Ivey’s lawyer making allegations in such an egregiously compound form as to render at least part of every sentence somehow deniable. Legally, an "answer" is quite literally just a paragraph-for-paragraph series of admissions, denials, or protestations of naiveté in response to a complaint (like Mr. Ivey’s counterclaim). One is filed in just about every federal case that is not first euthanized via judicial dismissal, and it is an entirely common practice for answers to be a series of numbers – correlating to paragraphs in the complaint – followed by the words "Admitted," "Denied," or other brevity-laced nomenclature of the like. So in perusing Borgata’s answer, there is nothing outrageous about its stark brevity. It may be that some of the decks were marked for destruction after the Borgata wised up to the edge sorting scheme. What is notable, though, is the seemingly voluntary offer of an explanation that cards were destroyed in accord with ordinary patterns and practices. Indeed, it is customary for casinos to maim cards following their use, so as to avoid the same cards from finding their way into the long sleeves of ill-intentioned players (hence the ubiquitous hole through decks parlayed in gift shops). And if Borgata did, in fact, just follow ordinary procedures in exterminating the cards utilized by Mr. Ivey, his counterclaim is likely to prove a relatively stillborn effort. Indeed, Mr. Ivey’s counterclaim is for spoliation, which amounts to an archaic legal term for destruction of evidence. The law has long regarded a plaintiff’s incineration of key items or documents, prior to filing suit, as a paramount inequity, as a defendant is left without the opportunity to have a judge or jury personally look at the evidence in question. The concern is not that a plaintiff will mutilate evidence helpful to its case – after all, the plaintiff must retain enough evidence to prove its case, or the whole lawsuit is an exercise in frivolity – but, rather, that a plaintiff will cherry pick between good evidence and bad evidence, marring those items that may give rise to a successful defense. Key in the doctrine of spoliation, however, is intentionality. While courts are alarmed by plaintiffs who raze documents on purpose (or even negligently) – and often go so far as to prohibit the claims of such litigations – there is a legal appreciation that certain evidence comes with an expiration date that cannot be avoided. A healthy quantity of security tapes are routinely recorded over before anyone realizes they contain revealing images; text messages from years prior are notoriously prone to inadvertent destruction when people acquire new cell phones before taking a trip to the courthouse. And that is essentially what Borgata is claiming here – it routinely destroys its playing cards, for reasons wholly unrelated to Mr. Ivey’s pending case, and the court ought not shame it for honoring a time-tested routine. What is of particular note, however, is the casino’s claim that it only eradicated "some of the cards used in the play at issue." This is not a position that immediately begs for cogent treatment. If "some of the cards" were destroyed, it necessarily follows that "some of the cards were not destroyed, and if Borgata regularly destroys cards "in the regular course of … business operations," it is altogether odd that it would not have destroyed all of the cards here. It may be that some of the decks were marked for destruction after the Borgata wised up to the edge sorting scheme, and accordingly were spared their fate. No other explanation invites immediate sensibility, though Borgata is not currently under any obligation to actually furnish an explanation, so the range of possibilities is limited only by the contours of the human imagination. If some of the cards were, in fact, spared, however, their salvation will likely serve to all-but-eviscerate Mr. Ivey’s counterclaim. The edge sorting allegations in this case are not idiosyncratic to any one session of play, so presumably any deck of cards will furnish evidence as worthy as any other deck of cards. Unlike Mr. Nixon’s famous erasure, there are no eighteen and a half minutes of paramount import here, and that does not bode well for Mr. Ivey’s counterclaim.